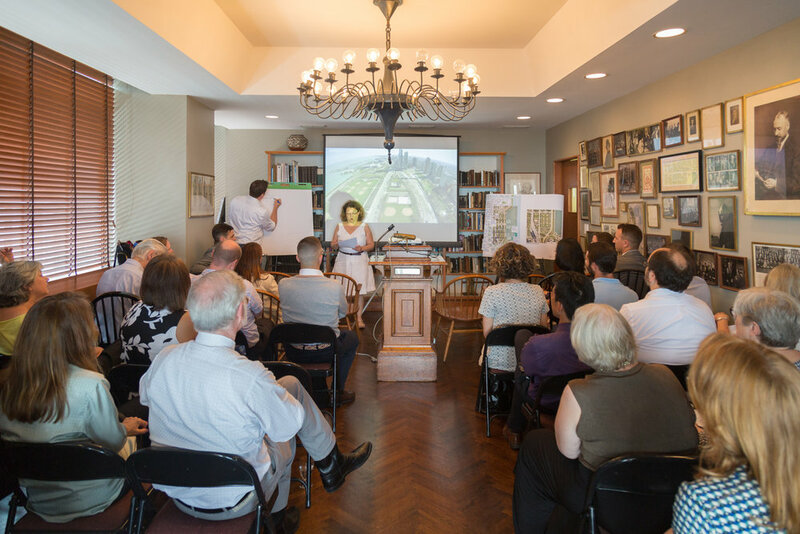 The idea for the charrette began following a Friends of Downtown and AIA Chicago sponsored lecture on April 20, 2016 titled “Forever open, clear, and free? An opinion on public space in Downtown” presented by Ernie Wong of Site Design Group. 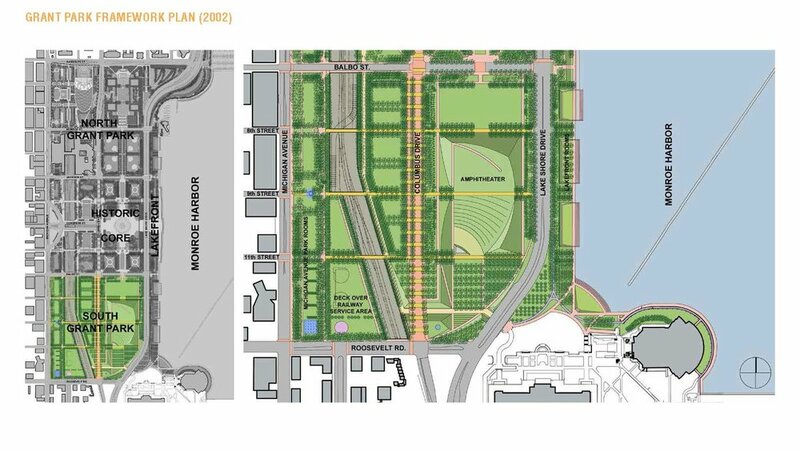 After the lecture, The Friends of Downtown were approached by members, who also happen to be residents in close proximity of the park, and were interested in the Friends of Downtown organizing a stakeholder event to begin discussing the future of the south edge of the park. 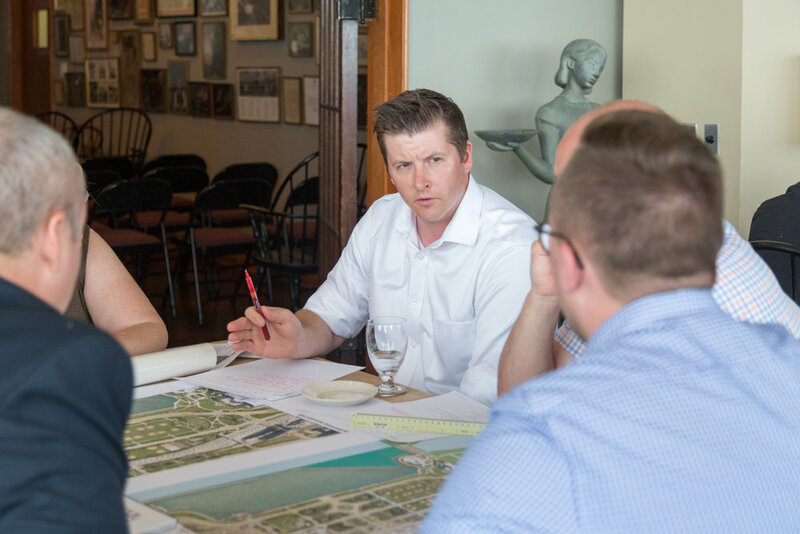 Friends of Downtown representatives met with Site Design, Perkins + Will and other Facilitators (listed below) to shape the invite list, secure a venue, and organize a budget. Friends of Downtown - A citizen based organization that for 35 years has focused on creating a more livable and beautiful downtown. 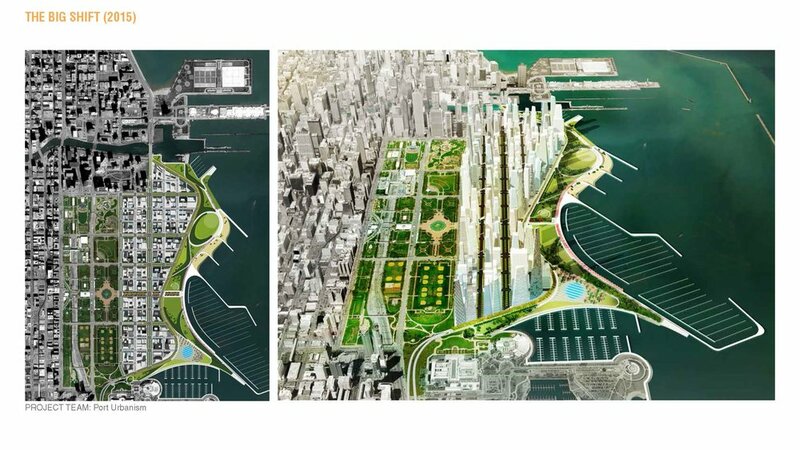 Site Design Group – A Chicago landscape and architecture firm that co-authored the 2002 Grant Park Framework plan. Perkins + Will – A Chicago born architecture and planning firm with several significant projects and close ties to many communities around the city. 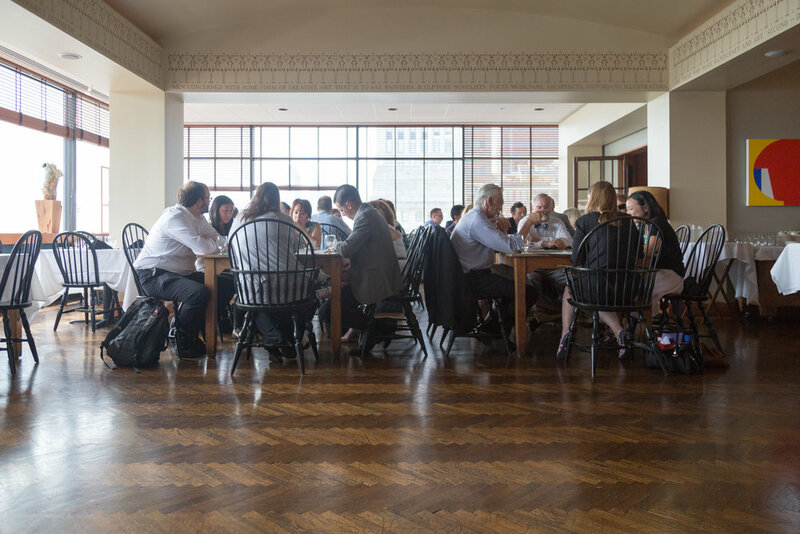 Space Available – The Cliff Dwellers and the project budget could accommodate approximately 35 people. 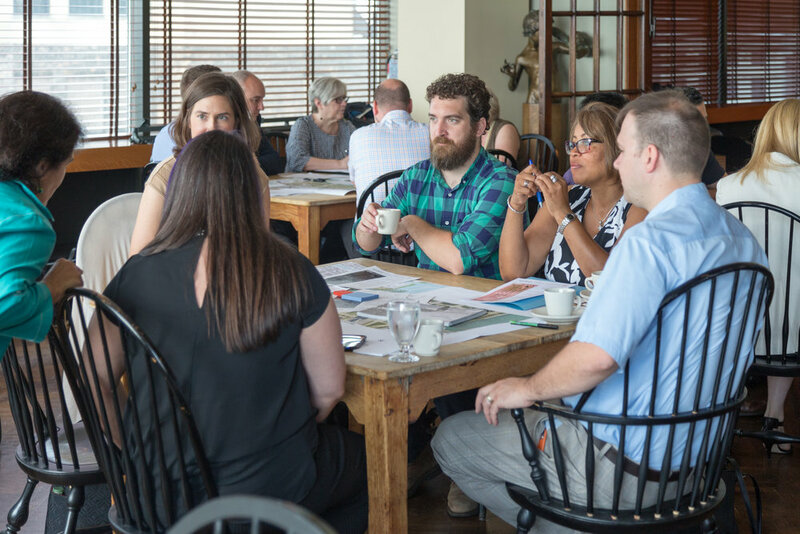 The goal was to create a group of parks advocates, residents, planners, schools, design professionals, to balance the interests and knowledge base at the charrette and in the outcomes. Landholders and managers of the site such as Chicago Park District and Metra, as well as the conservancy and advisory council. Planning related organizations that have a major impact on policy and development in the Chicago region. Members of Friends of Downtown, Site Design Group and Perkins + Will for logistical support and to encourage lively conversation and debate. 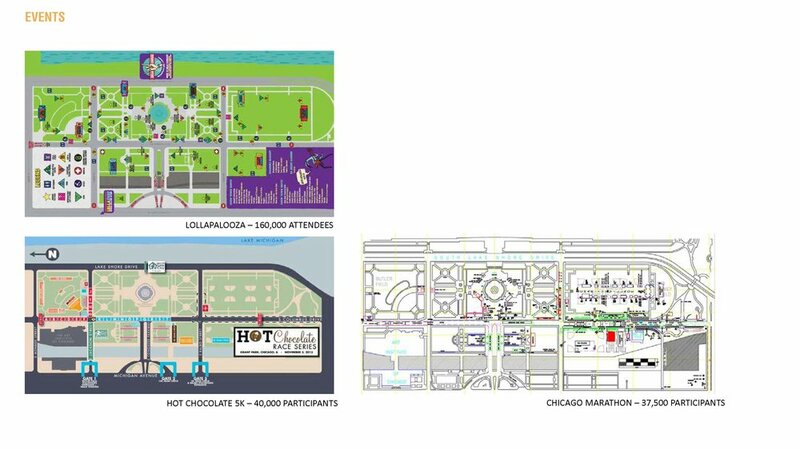 The Chicago Park District, with Site Design Group released the Grant Park framework plan in 2002. 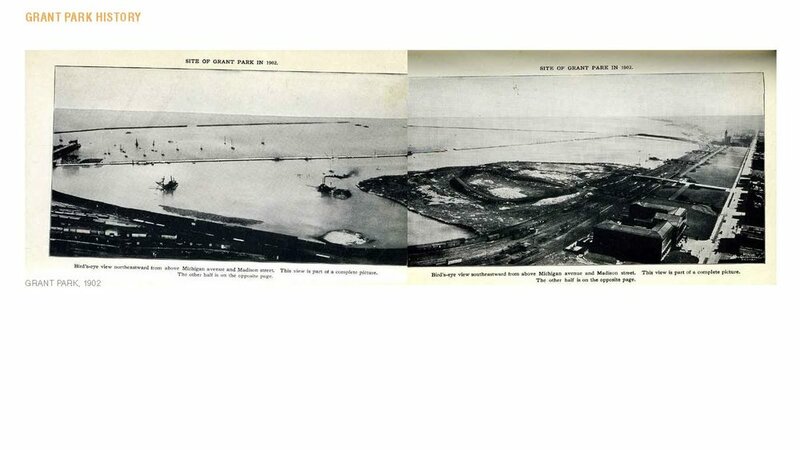 Since that time, the plan has been used to guide develop­ment and programming of the park. 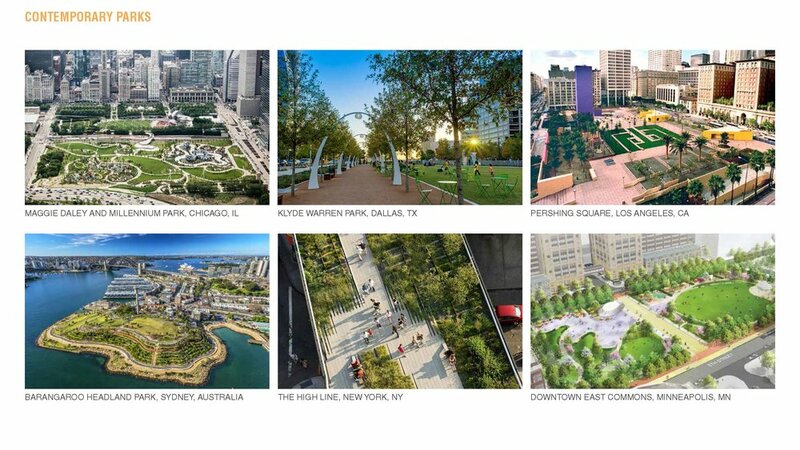 Between 2002 and 2015, the park has seen the completion of Millennium Park and Maggie Daley Park among others, with support from and response to a spectrum of public and private interests. Design and construction since 2002 has varied from natural landscaping to sculptures to a one of a kind ice skating rink surrounding a climbing wall and an amazing playground. However, many strategies from the framework plan have not been fully realized. The South Grant Park area seems to have received the least amount of improvement. Since 2002 residential development along the north and south edges of the park has increased significantly with development of the River East neighborhood at the north, and museum campus residences at the south. Current development trends seem to suggest thousands of additional residential units are proposed a short walk of the south edge of the park. This charrette is an opportunity for local stakeholders to assemble, discuss and create a document which can be presented to community organizations, the city, legisla­tive bodies, land holders, etc. Participants and Facilitators were given a handout via email approximately 1 week before the event which introduced everyone to other attendees and provided images of the study area, the agenda, and some resources to review in advance such as the 2002 Framework plan and current City of Chicago planning documents. 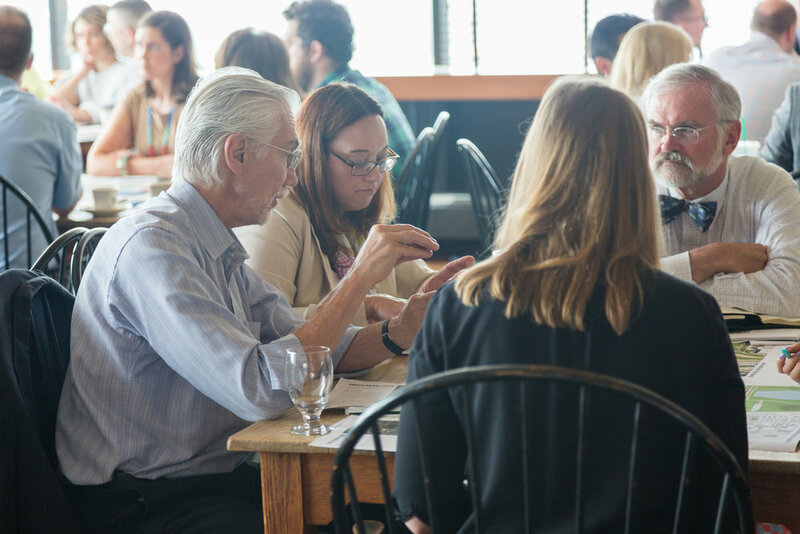 The Blue Sky Thinking session of the stakeholder charrette focuses on big picture, forward-thinking ideas not necessar­ily limited by funding, politics, or current regulation. It is an opportunity to dream big and propose progressive ideas to improve South Grant Park. Both near-term and long-term ideas are fair game. Thinking boldly is encouraged. There are no wrong answers. 1. What is South Grant Park to you? 2. Who uses South Grant Park? 3. How do you get to South Grant Park? 4. What makes South Grant Park special? 5. 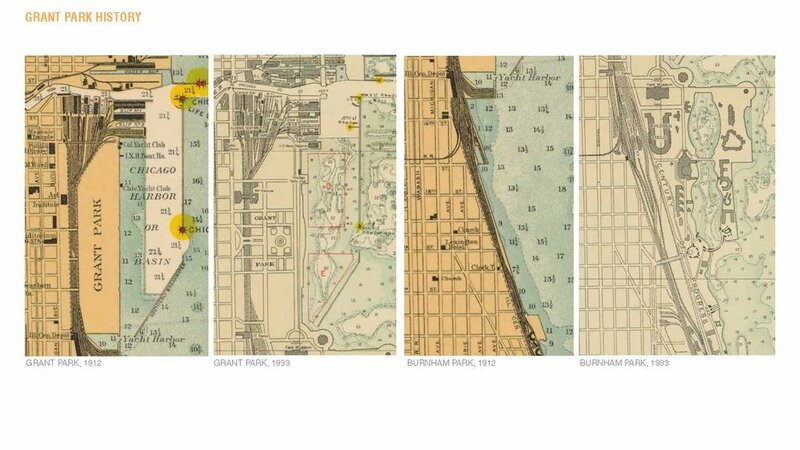 What are the most important characteristics of South Grant Park to preserve/celebrate? 6. What are some of the most important issues/challenges facing the park? Why? 7. What are some ideas for improving the park? 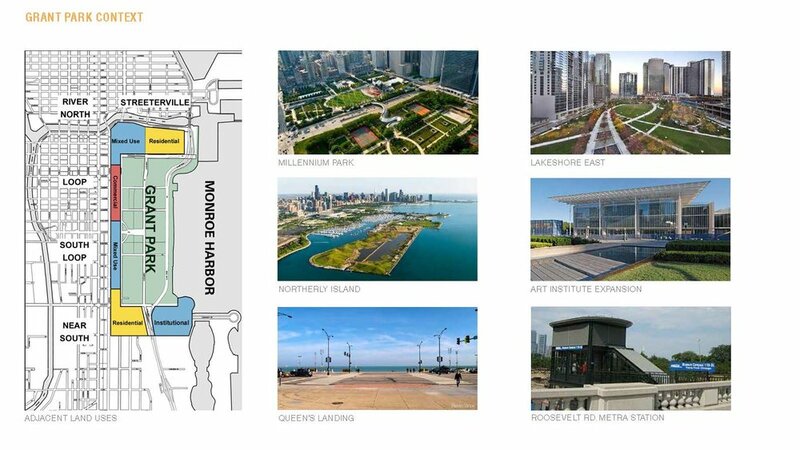 In order to further familiarize participants with the south Grant Park area, Ernie Wong presented a history of grant park, some examples of existing contemporary urban parks, andrecent plans to improve the park. Adam Lund presented surrounding land use, transportation networks, park access, and current uses. Each Table had a base map, pens, pencils, markers, highlighters, Scale, post its, trace paper and a pad of paper for note taking. 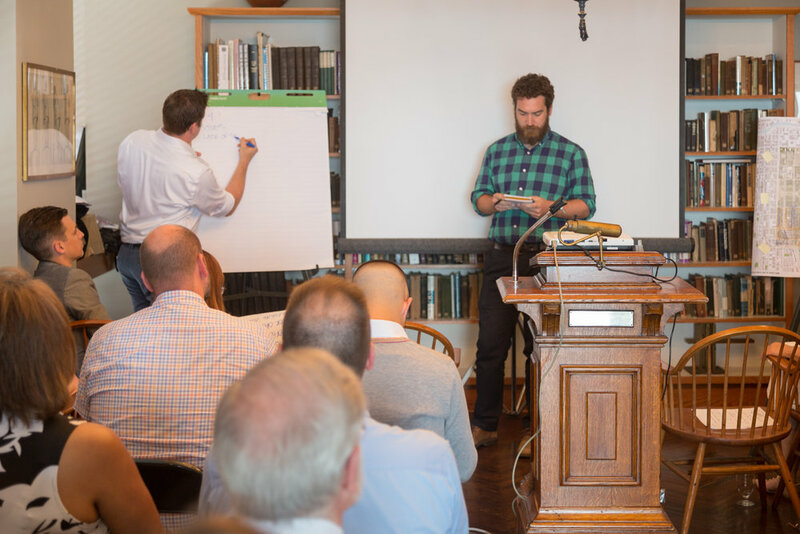 Participants were encouraged to use all tools at their disposal to note and or sketch their ideas. After the introductory presentation, participants found their pre-assigned tables and began Blue Sky Conversations. After, all participants reconvened to record the outcomes. Below are the written and transcribed results. Some Table’s (but not all) maps were developed as presentation material. The goal going into the charrette was three fold; 1. Solicit input on a variety of potential improvements from short term low cost easily implemented to long term significant transformations of the park with high probable costs. 2. Discuss and reach a consensus on a number of strategies that are reasonable to move forward with. 3. Prioritize and discuss feasibility of implementation. The first step was to get consensus from the group that this was a reasonable process and that “Common Threads” as written represented the group. There was a show of hands and discussion, and wordsmithing. The final list you can see below. The discussion from step one led to creation of another board called “Principles”. The group felt as the discussion of the common threads progressed, that the proposed physical updates to the park also required a decision making process and an established set of values agreed upon. The “Principles” board reflects those values as discussed and agreed upon by the group. Again, this process was through show of hands, discussion and wordsmithing. All tables touched on missing data or information that would need to be investigated and gathered in order to make informed decisions about what proposed updates to the park are the best. The lack of this data was discovered to be the greatest hurdle for prioritizing any of the proposed updates. Lastly The “Next Steps” board was created, discussed and agreed upon as a way forward. Two important themes that were apparent as this process moves forward were 1. Extablishing and using a value system for future decision making and 2. Gaining greater understanding of what funding mechanisms are available or could be created to implement improvements. One important thing discussed but not recorded on the boards was the process in which further community input is gathered. There were many suggestions that ranged from online survey to town-hall style meetings. There were some groups that were not represented, such as elementary schools, business alliances, and those holding political office. A summary document or blog post that captures the points of concensus from the charrette. An event at the Cliff Dwellers September 7th where the process and outcomes will be presented and discussed. Seating will be limited to approx. 100 people. Followup meetings to solicit input from those that could not attend, and some type of online tool for engaging the larger community such as a survey. After the charrette, several individuals were interviewed to gauge satisfaction, turnout, ideas discussed, balance of stakeholders and importance community engagement among others. Check back soon for a video.